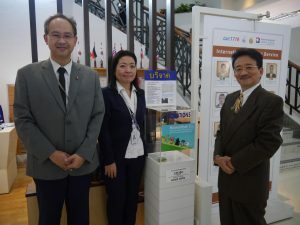 On 27th Dec 2015, Phuket Thailand – PLAJA sent post card to people and companies that supported for the memorial service for Indian Ocean Tsunami Victims in past years and absent of absent from the 11th anniversary of Indian Ocean Tsunami Victims at 27th December, 2015. Next time will be the thirteen anniversary of Indian Ocean Tsunami victims death which is based on the traditional Japanese system. We would like to inform you when the date gets closer.